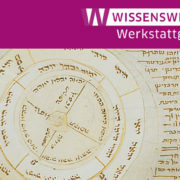 “Jewish Kabbalah and Magic in Ashkenaz” – Werkstattgespräch am 17.3. “Scholars of early modern Eastern European Jewry have suggested that by the 16th century, the speculative kabbalah (i.e. a strand of Jewish mysticism) became part and parcel of the educational curriculum of the Jewish intellectual elite, even among those of its members who were antagonistic to this esoteric lore, but whose critique of it often reveals extensive knowledge of the subject. At the same time, and especially in the course of the 17th century, the so-called ‘practical kabbalah’, associated with magic and a talismanic approach to ritual, was attracting numerous followers. These two strands of the mystical tradition permeated early modern Eastern Europe, but while the theoretical kabbalah of the elites exerted limited influence on the Jewish masses, popular magical traditions and practices did infiltrate the elitist kabbalah to a large extent. https://blog.sbb.berlin/wp-content/uploads/WG__Blog_Kabbalah.jpg 475 845 Christin Murawski https://blog.sbb.berlin/wp-content/uploads/stabi-logo-kante.png Christin Murawski2016-03-02 10:30:112016-10-18 12:13:46"Jewish Kabbalah and Magic in Ashkenaz" – Werkstattgespräch am 17.3.